Metal Oceans team departs for the NE Lau Basin December 2018. 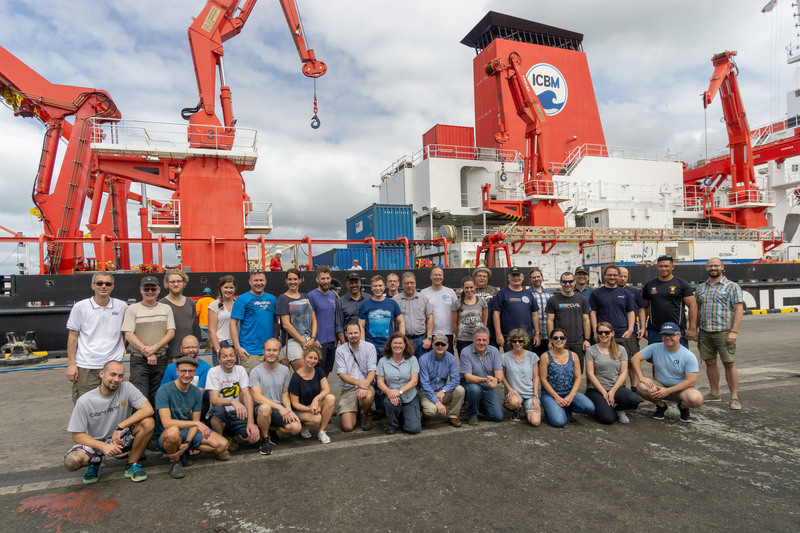 ARCHIMEDES I (SO267) is a research expedition led by research scientists from GEOMAR Helmholtz Centre for Ocean Research Kiel in collaboration with the Bundesanstalt für Geowissenschaften und Rohstoffe (BGR) in the NE Lau Basin of the southwest Pacific Ocean from December 11, 2018 to January 26, 2019 on the RV Sonne. The primary objective of this expedition is to investigate arc rifting, metallogeny, and microplate evolution of the Fonualei Rift system, which is an active rift and spreading center propagating into the active Tofua volcanic arc. The Metal Oceans team at the University of Ottawa is participating in this expedition in order to understand the relationship between arc rifting, crustal growth, and magmatic-hydrothermal systems. This survey will study the geology and deep crustal structure of the Fonualei Rift through integrated bathymetry, seismics, magnetics, magnetotellurics, heat flow, sidescan sonar, and sampling. This is the first time the full complement of ocean-going geophysical survey equipment available through GEOMAR and its partners will be deployed in a single mission.